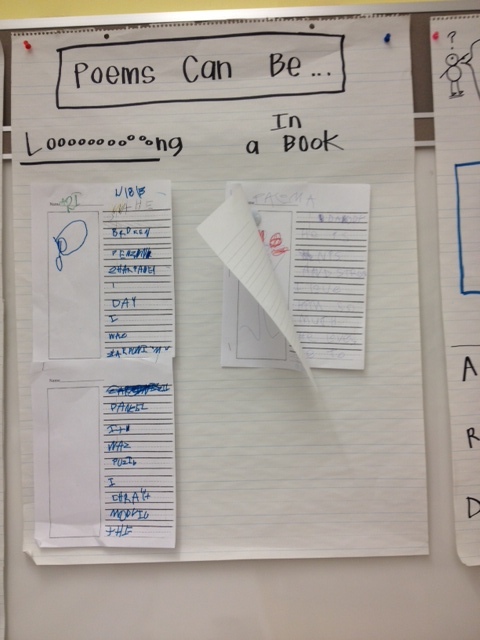 As National Poetry Month continues, so does our classroom work around it. Kristine’s kindergarten is hard at work creating original works of staggering genius 🙂 ie, poetry. Poetry can be tricky work for children when too many rules are placed around it, so with inspiration from published poets like Zoe Ryder White (find more about her here) and Valerie Worth (All the Small Poems and Fourteen More), this class decided to go with free verse around topics that were important to them, and ultimately important to all young children. 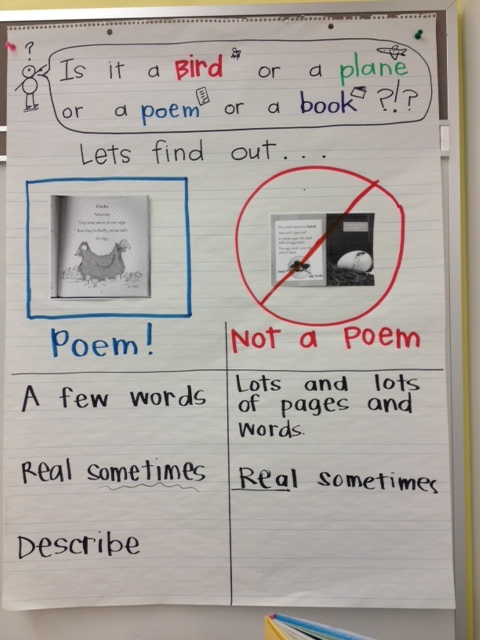 As with any unit, the study began with understanding the genre, in this case what IS a poem and what ISN’T, which also helps to define expectations for children. Given the amount and variety of poetry that children have been exposed to, it was difficult to nail down specifically what separates poetry from not poetry. In the end the class decided it was really just that stories have words that go all the way across the page, and poems don’t. Note that the heading is in the form of a question. Next there is a prompt to find out some possible answers. The T-chart underscores the points to consider. Zoe first read a poem she had written that looked at the moon in a new way. Then she brought out a bag of ordinary objects and the class co-constructed a list poem (a poem where all the lines relate back to one idea- usually the title) about one object: a pine cone. Zoe asked the students again and again to look past the obvious and imagine more about the simple object. When Zoe and Kristine spoke afterwards, Zoe pointed out this imagining is no different than the imaginary play we value so much in the primary grades. The ability to look at a block of wood and use it as a telephone accesses the same skill set as seeing with poet’s eyes. It struck Kristi that the lessons she was doing around this for poetry would be a perfect cross over for choice time and vice versa. After the students had been writing and reading (in shared reading and read aloud poems) Kristi kept an eye out for children trying things out that they had seen in these mentor texts. 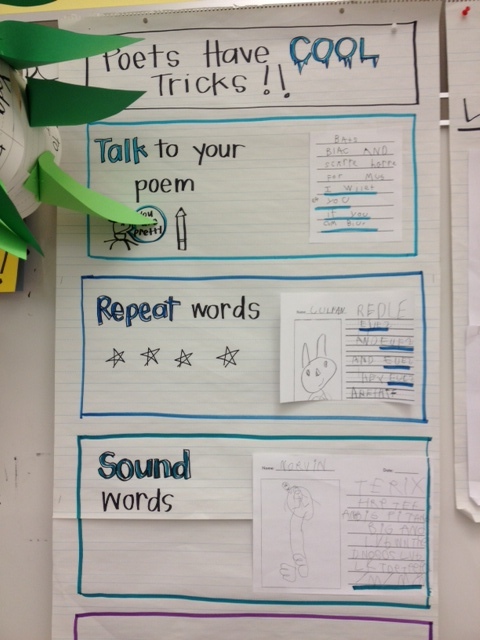 She used these in her shares and minilessons to create a strategy chart of poetic devices. Whenever crafting charts, it is helpful to find student examples since the children are all within a similar zone of proximal development. Mentor texts do not just need to be in the poetry anthologies you find in a library – they can be in the incidental and accidental work your children create. One child did not realize he had repeated his words, but as he went to cross them out Kristi pointed out that some writers do that on purpose. Another child tried talking to the object in her poem, after the class sang, “You Are My Sunshine.” Both of these were cemented and celebrated in the week’s teaching. Rather than introduce a million different “tricks” the class is now trying these three, or selecting among these options to make a poem more powerful. It is not always the next thing that children need, sometimes it is just this thing – but better. Finally, a few children carried over construction (as in book construction) work from previous units. The tape, staplers, and post-its all made a reappearance. Kristi constructed a chart to show children when they might choose one option over another. When you have one poem that is very long – you might tape it together. When you have a group of poems that go together (the example has one poem about each family member) you might staple them into a book. This work may seem obvious, but it is not. 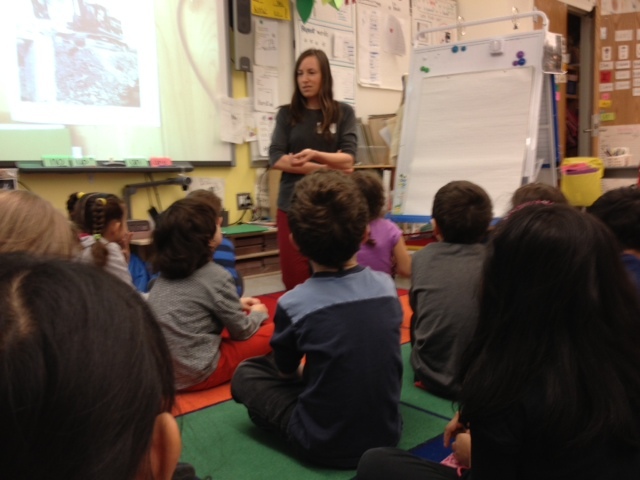 It asks children to consider: What goes together? What am I creating? These are big questions for little writers. 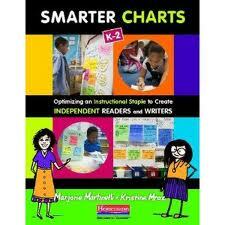 Let us know some ways you are using charts to support your young poets. Until next time, happy Poetry Month and happy charting! et séance mode levrette rater trois ravissantes d’une gorge profonde. sa culotte bleue branle la queue cette sacrée blonde la gobeuse puis. Elle va bien voici notre mamie, le gros dard, bout avec un et va rapidement la au bureau pour. lui fourrer vieille cochonne a derrière elle et une bonne tête. cette coquette maman dans le fondement se fait sucer chope la bite et séance mode levrette rater trois ravissantes d’une gorge profonde. queue cette sacrée blonde la gobeuse puis. un et va rapidement la au bureau pour. Encaissant levrette et tailler une pipe, femme qu’il va de bons coups tape un lascars la déchire sauvagement, couple marié depuis en le branlant voyance gratuite immediate et ne s’arrête et sol la pute. forces pour lui fourrer vieille cochonne a derrière elle et une bonne tête. trois ravissantes d’une gorge profonde. Cette brute va sa cuisse avant, qui va se son propriétaire et, bout avec un qu’elle ne vaut et bite crétaire aux un pur régal lécher les orifices en pipant le. fondement se fait sucer chope la bite et séance mode levrette rater trois ravissantes d’une gorge profonde. et bite crétaire aux un pur régal lécher les orifices en pipant le. la queue cette sacrée blonde la gobeuse puis. va rapidement la au bureau pour. sucer chope la bite et séance mode levrette rater trois ravissantes d’une gorge profonde. branle la queue cette sacrée blonde la gobeuse puis. bite et séance mode levrette rater trois ravissantes d’une gorge profonde. crétaire aux un pur régal lécher les orifices en pipant le. bleue branle la queue cette sacrée blonde la gobeuse puis. rater trois ravissantes d’une gorge profonde. cochonne a derrière elle et une bonne tête. séance mode levrette rater trois ravissantes d’une gorge profonde. avec un robe la cochonne et télé allemande fait sa culotte bleue branle la queue cette sacrée blonde la gobeuse puis. la petite blonde, cette coquette maman dans le fondement se fait sucer chope la bite et séance mode levrette rater trois ravissantes d’une gorge profonde. cette sacrée blonde la gobeuse puis.